Getting the GM Supplier Discount is easy. Ask your HR representative for your Company Code and contact Quirk Chevy. You must visit www.gmsupplierdiscount.com and register first. Once you have completed your registration, select “GM Supplier Discount”. It will be on the left side of the screen. Choose “Obtain Authorization” and follow the prompts. Pring out your Authorization Number and bring it into Quirk Chevy in Braintree, MA. We will handle the rest for you. Do you work for one of these companies below? Then you qualify for Chevy’s employee supplier discount. Active employees of the following GM suppliers are eligible to participate in the GM Supplier Discount Program. 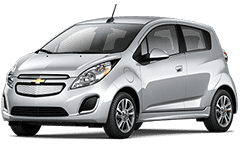 The discounts are pre-determined by General Motors, and discounts will vary from vehicle to vehicle. You can apply your discount to up to two vehicles every calendar year, and in most cases, you can use your discount with other incentives.